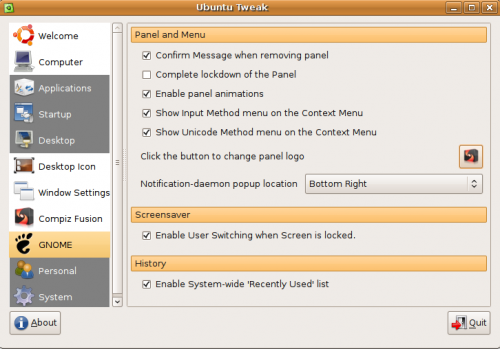 Ubuntu Tweak is an application designed to config Ubuntu easier for everyone.It provided many usefull desktop and system options that the default desktop environment isn’t provided.At present, It is only designed for Ubuntu GNOME Desktop, and often follows the newest Ubuntu distribution. add following into the file,then save and close it. 5 users responded in " Manager your Ubuntu sources more easily with Ubuntu Tweak "